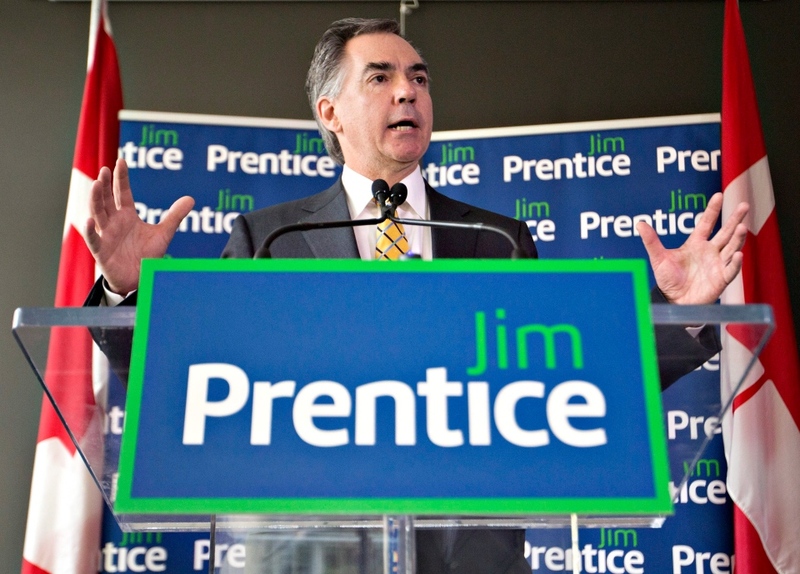 Prentice formally launched his campaign to lead Alberta’s Tories with a speech in Edmonton Wednesday morning. A “focused commitment to sound Conservative fiscal principles.” This includes a smaller cabinet, a “refocused” capital infrastructure plan and a plan to save for the future. Restoring the public’s trust by improving accountability and “putting an end to entitlements.” Prentice vowed to put an end to “sweetheart contracts for political staffers,” hiring lobbyists as consultants and ending sole-source contracts. Maximizing the value of Alberta’s natural resources: energy, agriculture and forestry. The province’s economic future, he said, depends on competitiveness, and access to global markets, capital, technology and labour markets. Establishing the province “as an environmental leader.” This includes introducing rigorous environmental standards to ensure responsible expansion of the oilsands. Prentice also vowed to work with the federal government and lawmakers in the U.S. to harmonize standards. “I love this place. 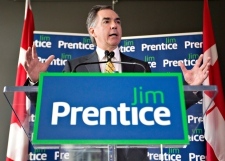 I love this province,” Prentice later told CTV’s Power Play. Prentice will reveal more details about each of the five priorities as the leadership campaign rolls on, he said. During his news conference, Prentice also vowed to strengthen the province’s relationship with Alberta’s cities, as well as with First Nations and Metis citizens. He also said he looks forward to working “in a spirit of co-operation with the federal government, unless a different approach is needed,” alluding to the fact that Alberta’s next premier may one day be dealing with a Justin Trudeau-led Liberal government in Ottawa. Steps to make Alberta’s resource development more environmentally sustainable “will not damage our competitiveness,” he added. Prentice said he has high hopes for both the Keystone XL and Northern Gateway pipeline projects, because “Alberta’s future lies in accessing tidewater. Prentice’s re-entry into politics comes four years after he left the federal scene to work in the private sector. After working as a lawyer for 20 years, Prentice entered federal politics in 2004 when he was elected MP for Calgary North -Centre. He held several cabinet positions in Stephen Harper’s government, including minister for aboriginal affairs, environment and industry. After being re-elected by voters twice, he left federal politics in 2010 and joined CIBC in 2011 as senior executive vice-president and vice-chairman. The unofficial race to lead Alberta’s Conservatives got underway in March, when Alison Redford resigned over accusations of lavish spending and growing unrest within her caucus. The race officially kicked off on May 15, with a vote scheduled for September. So far, the field of candidates vying to replace Redford is thin. The only other declared candidate is Ric McIver, who resigned his post as Alberta’s infrastructure minister earlier this month to join the race. Shortly after McIver jumped in, former municipal affairs minister Ken Hughes dropped out, saying he was throwing his support behind Prentice. Nominations close May 30. Several Alberta cabinet ministers have said they will not run, while Jobs Minister Thomas Lukaszuk, who has declared interest in joining the race, has yet to confirm his intentions. Dave Hancock is serving as interim premier until the leadership vote.